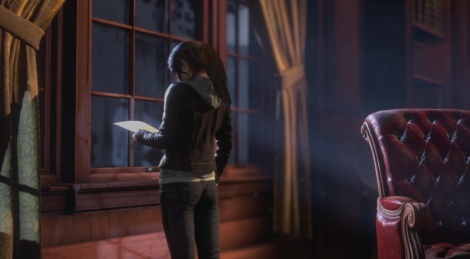 Square Enix sent us the full 11 minutes of the Gamescom gameplay demo of Rise of the Tomb Raider: 20 Year Celebration. Jump inside to get a look at the main campaign plus a preview of Blood Ties which features over an hour of single-player content and Lara's Nightmare, a new combat mode. 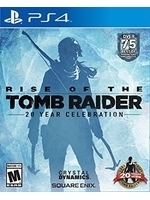 The title, which also includes PS VR support, co-op Endurance mode, Extreme Survivor difficulty mode, 5 classic Lara skins, an outfit and weapon inspired by Tomb Raider III, and all DLCs, will be out on October 11th. Thanks for posting this, Game2k! I'm interested in trying that "Extreme Survivor difficulty" mode. Plus would give me an excuse to play the game again. It's not listed for sale anywhere though? I cant find it to buy it? Blood Ties i think is free on pc. it's also coming to xb1 as well, not sure of the cost. By the looks of it they didn't really do much to improve the anti-aliasing, odd. Oh and those zombies in the new DLC....yeah...TR really needed that. Not a fan of that. Anyone who hasn't played the story yet though, definitely should. Loved this game. I know that hence why I said I wish they would release the 20th year edition. I didnt buy any of the DLC for Rise of Tomb Raider on XO, I only bought the game. I want this 20th Edition as a physical copy. well then you are out of luck !